Today I have been focusing on drawing the eyes and lips, now you may notice that these lips are quite faint and the eyes are very sharp in detail. 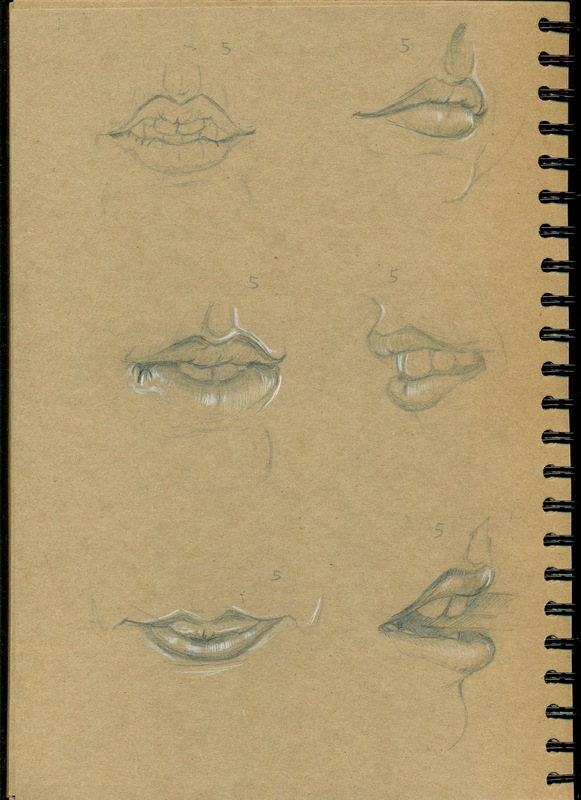 Two things here...1 the lips were 5 mins maximum per drawing and it was only to get specific angles and get a feel for the part. 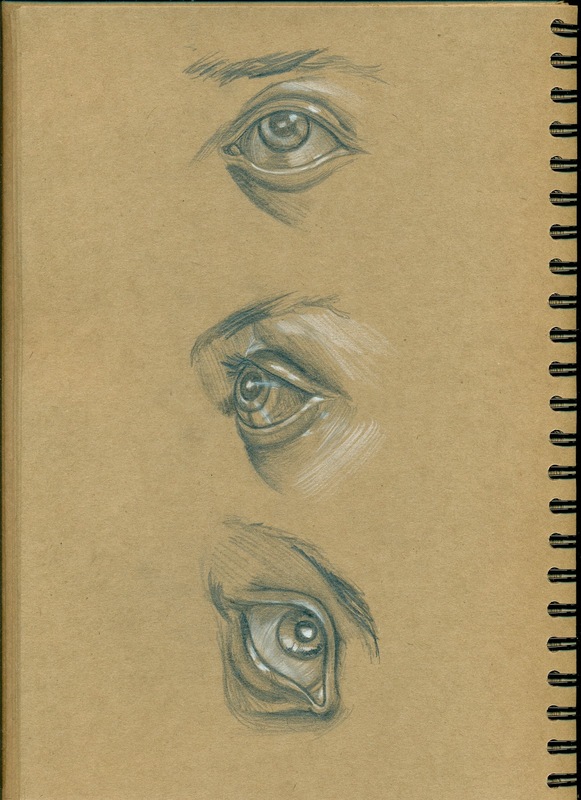 I found a book called "Human Anatomy for Artists" by Elliot Goldfinger and I read the section about the eyes and it blew my mind away, after that I so pumped with enthusiasm I drew for a solid 10-15 mins on each angle of the eye drawings. Not only do i love drawing eyes but I think now I have a much better understanding of them and these came out great.